We offer valet parking for a fee as well as validated garage parking adjacent to the west of the restaurant. 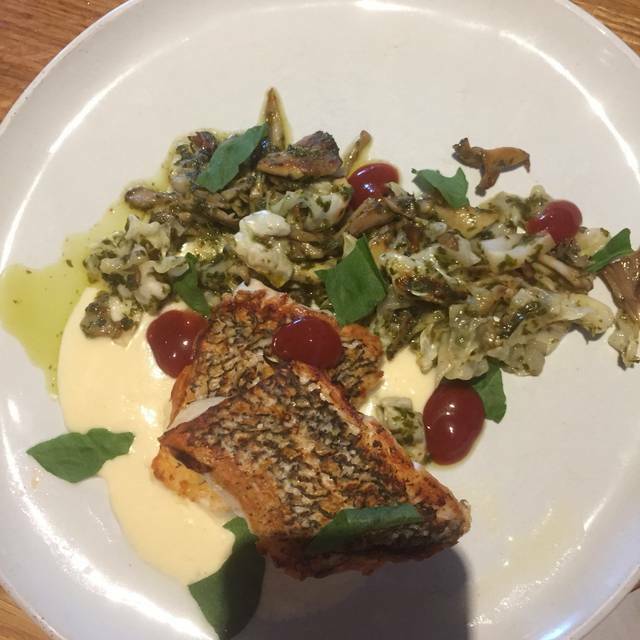 An Italian-inspired Osteria and Wine Bar with handmade pastas, unique small plates, and progressive wine list featuring but not limited to natural wines and small producers. As always, the food and service were outstanding! We took our two boys for Easter dinner and Sardella did not disappoint. The drinks were excellent and our food was well made and flavorful. I didn’t see a children’s menu online, but decided there would be enough for the kids to order and split. To our surprise, they let us order off of the Pastaria kids menu, which always works out well. 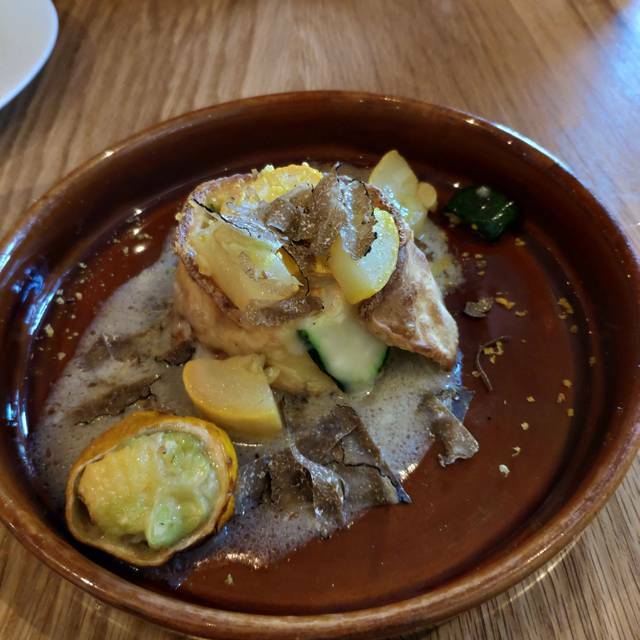 My husband and I each got the prix fixe option and were able to try 6 different items from the menu. We miss some of the old menu items such as miso rolls, sunchokes, mussels, and the little gem salad! From the cocktails all the way through dessert we experienced great food and service. Great dinner date. They let us order the prix fixe a little after 630, and the meal was enough for the both of us! Tasty, unique food in perfect proportions. Friendly, prompt wait staff. A lovely place for brunch! 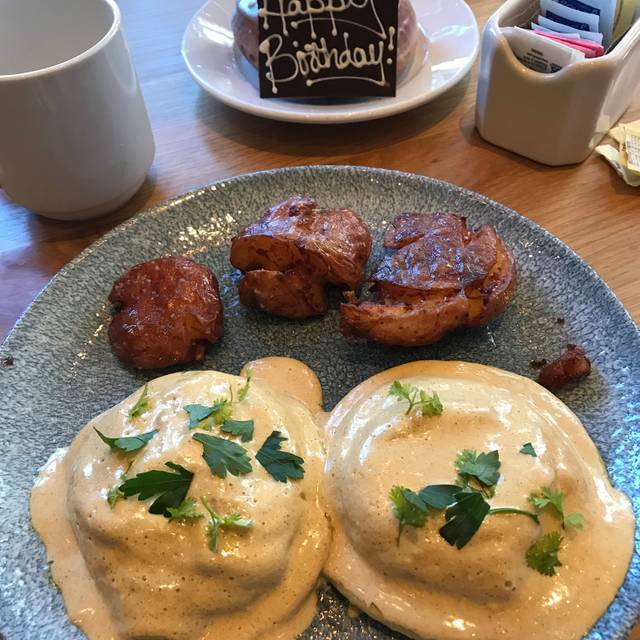 We went here for brunch and it was great! I had the eggs Benedict raviolo, very tasty and very rich! Staff was friendly, space has a cool atmosphere. It was my (landmark)birthday dinner, the dish I received did not really have a strong or memorable flavor, and I was disappointed. The server not only changed it out for something else, but also brought me a birthday dessert. The dish I ended up with was excellently prepared; the flavors were full, fresh, and balanced (which is hard to do with seafood dishes so far from the coast). Also, the artisanal house-made butters were delicious. I will definitely be dining here again. Absolutely fantastic food & service. Each plate executed exactly as advertised. I love that about the quality restaurants. Execution is the most important aspect in my opinion, and Sardella is a masterpiece. I go to Sardella every time I'm in St. Louis. I haven't had a bad meal yet. The bread rolls are AMAZING. Last time I enjoyed the hamachi crudio, cavatelli and the olive oil cake. Perfect. 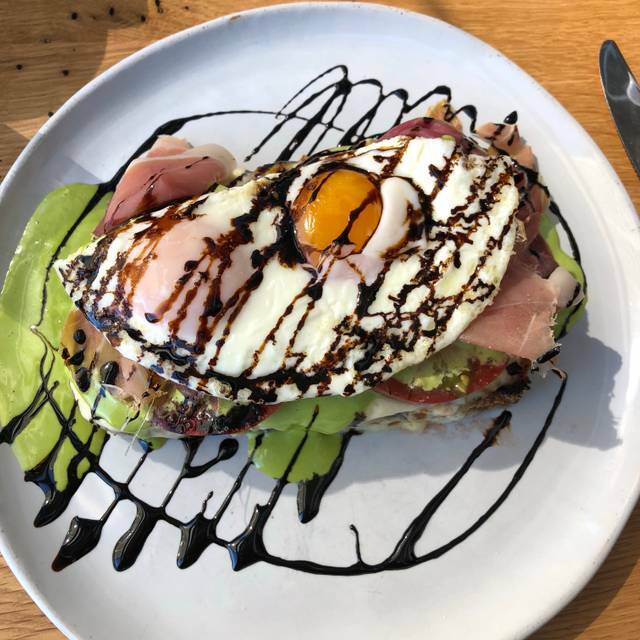 Sardella is a fine place to have brunch on a Sunday morning. There were three of us and everyone enjoyed their meal. I had the quiche and added a side of both potatoes and bacon. The bacon is thick cut, which I usually do not like. Yet this bacon was better than other thick cut I have had. My wife had the chicken & toast. It has spice too it, but I did not find it overpowering. The sweet maple syrup helped cool the dish. Our friend ordered the breakfast sandwich. $13 for a breakfast sandwich is pricey, however, she said it was better than most she has had. The breakfast sausage was just the right touch she said. Not our first visit to Sardella, but the reason we go back is the previous visits were excellent. This one was no exception. Wait staff is knowledgeable and friendly. Menu has a great variety. But it is about the food and they do a great job with that. The hamachi appetizer is a different take on this dish that I have found in sushi restaurants and I like the twist they add to it. 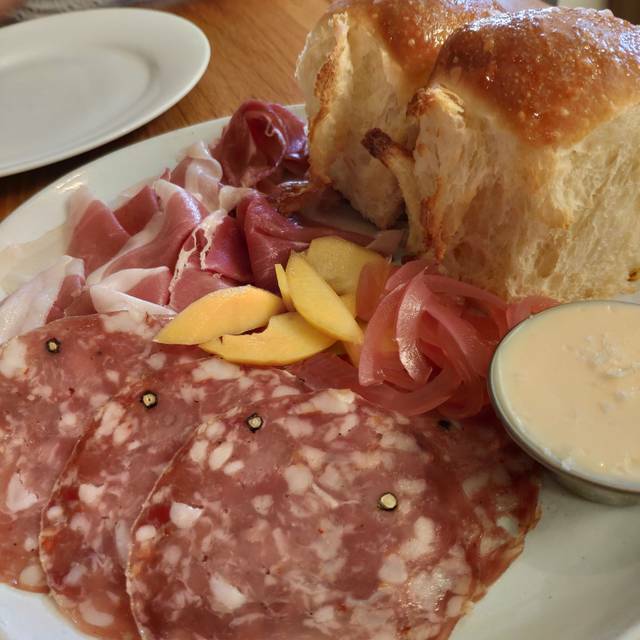 The prosciutto platter had a good variety of meats and goodies and was enjoyed by all. The four of us had all three of the pasta dishes that night and all were totally different but excellent. It was nice that it seemed quieter than I remember. I always try to dine outdoors for several reasons, including the lower noise factor. Maybe it was where we were seated, but the restaurant was just not as noisy as before (it was full) and it was nice for the 4 of us to be able to converse. LOVED the experience. They had the table ready early, were attentive, and brought a beautiful desert out for my dad's birthday! My favorite spot in St. Louis, I think. Food was delicious. Smaller portions than I would’ve expected for the price. The service was perfect. The scotch sour was my favorite! Good food and drinks but overpriced for what you get when compared to the quality of food right next door at Pastaria. I don’t think we will ever go back to Sardella when there are better options like Pastaria, Acero, The Crossing, & Savage. Sardella never disappoints. The menu is always new and exciting. Be sure to take advantage of the prix fixe -- best deal in town! The service was fine. Our party would have to ask for more coffee. Two popular items were no longer available at 12:30 pm. One would think that enough portions would be available. It was not that late in the day. It was the birthday of one in the party of 3. Sardella's does not do anything special for someone who goes to the restaurant on his/her birthday. We were told that gelato was available for purchase next door at Pastaria. At least a Sardella doughnut could have been offered. I will give the restaurant another chance. Creative dishes with attentive service. Wine list has many good options. We were seated on time which is always a plus. Great evening out. Food was delicious but my chicken came warm not hot as I would expect Sitting next to the kitchen I saw my dinner sit for quite some time. I've been wanting to go to Sardella for quite a while but, for one reason or another, didnt make it until this weekend. 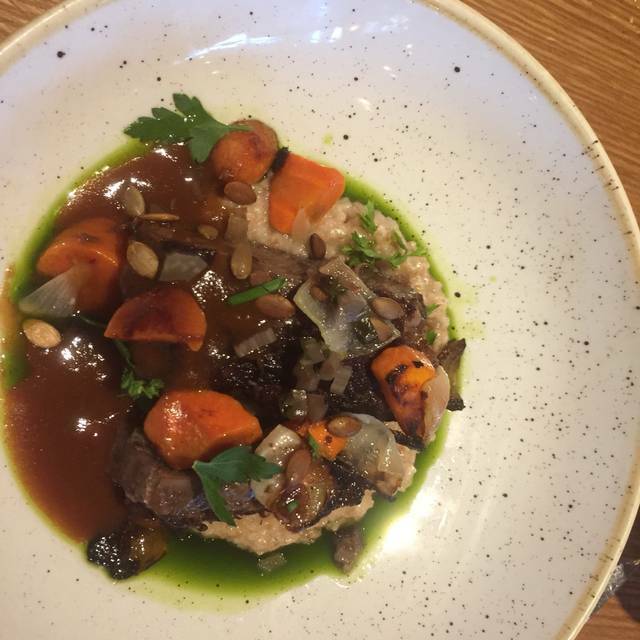 Absolutely lived up to the hype- fantastic food, great atmosphere, great service- cant recommend it highly enough. Not cheap, but well worth the cost. A must try- will absolutely be going back. It was empty, and three of the dishes we ordered they were out of. Excellent, as usual! Three of us share two apps--the sublime carrots and the tasty mozzarella sticks. We also shared two pastas. We loved both the squash tortelli and the pork and ricotta. The olive oil cake with chocolate sorbetto, ricotta creme fraiche and pomegranate was exceptional, not overly sweet and very chocolatey! Our waiter was great. Attentive but not too attentive. He made good recommendations. The mussels and shirmp was great and the hamchi crudo was amazing. Had a great ambiance. And we sat at an nice table!! Had always loved Niche, then tried Sardella several times and was disappointed. Thrilled they have improved the menu and increased portion sizes. I’ll be back. It was awesome as usual. We couldn’t ask for better service and the food was wonderful! We had a bridal shower brunch... the staff and food was marvelous. I absolutely recommend everyone go and enjoy the food and atmosphere. We did! Went there while I was out visiting my son. Food was fabulous we both had the Monk fish. Loved it! Had the burrata and a lamb dish for appetizers that was delicious. Tried the orange wine and wasn’t a big fan. Great wines and beers to choose from so there is something for everyone. Will definitely go again. First time dining at Sardella and it was a wonderful experience. They had a note that it was my birthday and they made me feel extra special with a mock tail (in pregnant) and delicious ice cream to end the meal. I tried rabbit for the first time at Sardella and I liked it. I had the butternut squash pasta dish, my hubby had the steak and my two friends had the pasta with ragu. All delicious, fresh, filling and satisfying! The rolls were also really good!! I think rolls should be free, but these were worth the extra $ :). I hope your experience is as good as ours!! Food was delicious as always and it’s a nice cozy space. No children there, and I don’t recommend bringing them there. If you want to bring your kids, go to Pasteria next door. There for business and was the best meal I had in St. Louis. WE love this place. We have dined multiple times and live clode by. We brought 5 friends who had not dined with you on Saturday night and they loved it as well and all of us plan to return. I've been to Sardella a couple times now, and everything I've ever had has been completely excellent. 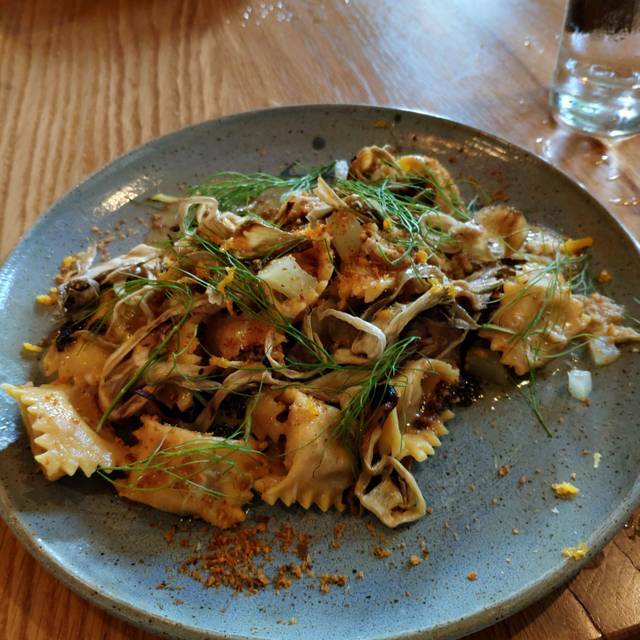 The pasta is, of course, amazing, but everything else I've tried has also been great -- the beer and wine lists are terrific, even the bread is terrific. We ordered the dinner rolls and compound butter and the miso butter that came with the bread was unreal. Easily one of the top restaurants in STL. I could not believe that this restaurant was rated above Tony's in the review in the Post. They are not in the same league. The food was okay but nothing to relate to anyone. Lovely intimate setting. Salad was a bit overdressed. Mussels and chicken were delicious. Will definitely return! It was a good meal with a great setting, but if I had the choice to go back, I would choose one of the other Niche Food Group Restaurants. I am not going to discredit the restaurant by any means, but for two people to spend $125 after a tip, I expected a little more than what we got. 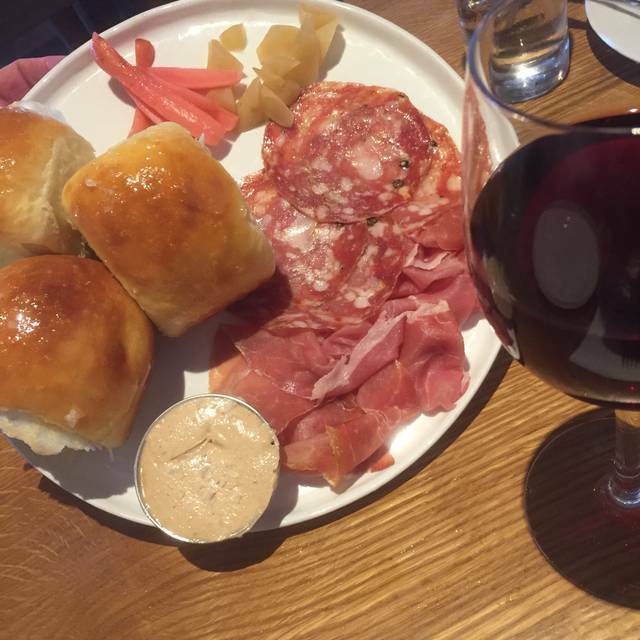 We really enjoyed the rolls with the aged butter on the app with the aged meats and pickle veggies and the drinks were very delicious. The main courses had a very high price for what is usually a cheep option, albeit they were cooked well. Definitely something to check out, but may agree with me that one time is enough. We celebrated Valentine's Day here. The food was AMAZING! 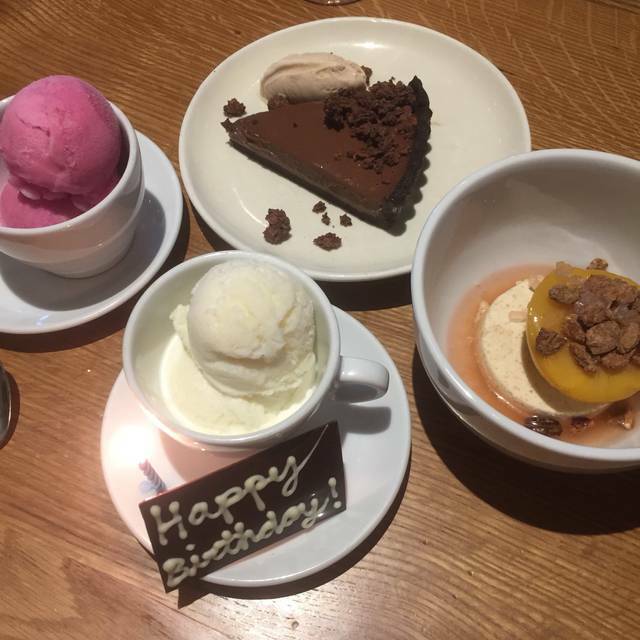 We really like how it wasn't very large portion and that we had room for dessert. Started with fun drinks off the Sardella menu- great choices! Tempura appetizer was delicious! Braised short ribs and pasta ragu was amazing! Even saved room for dessert- a chocolate covered cake- yummy! !